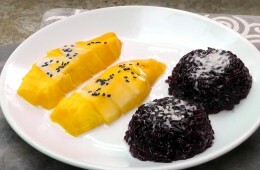 Sticky Rice with Mango is on of the most famous desserts from Thailand. 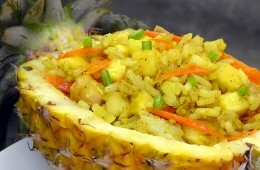 It comes with sweet rice, a coconut sauce and delicious fruit. 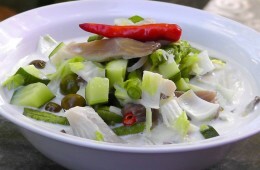 This is a hot and sour lemongrass soup and so easy and fast to make. 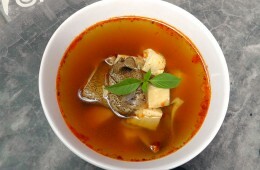 Galangal, lemongrass and kaffir limes leave give Tom Yum a delicious lemony and sour taste. 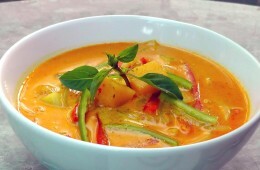 All the Thai Curries are very famous and known for their incredible taste and spiciness but the yellow Curry is my favorite. 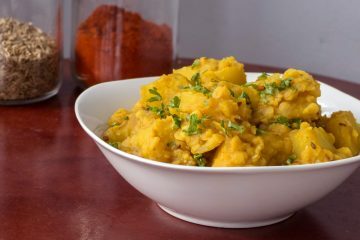 This delicious yellow Curry Recipe comes with Pumpkin, Potatoes and red Bell Pepper and is best served with Jasmine Rice. 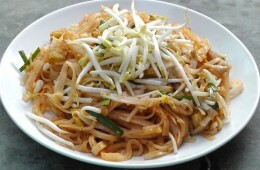 Pad Thai is a famous National dish from Thailand. 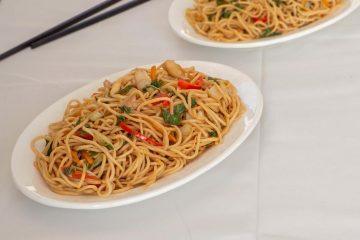 This fried Noodle dish is easy to prepare and tastes absolutely delicious. 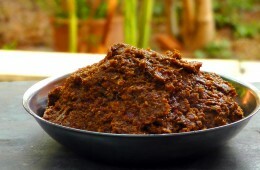 The sauce combines sour, sweet, hot and salty just perfect. 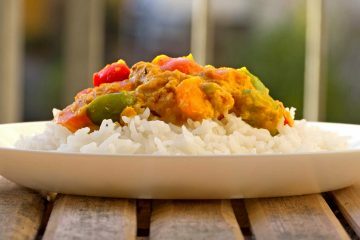 This is one of the meals i could eat everyday and one of my most cooked recipes. 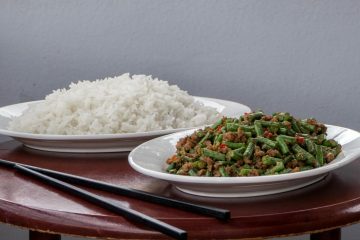 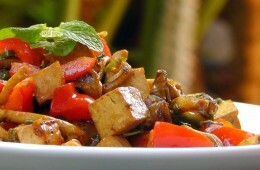 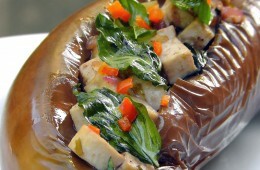 Ma kheau Yat Sai are steamed Eggplants with a sweet and sour Tofu filling. 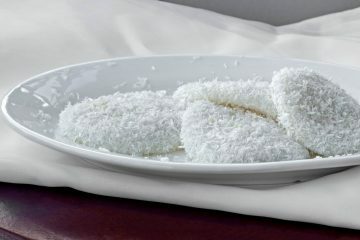 Bproh Dteen Ga-Sayt Pat Prik is a sweet and hot snack from Thailand. 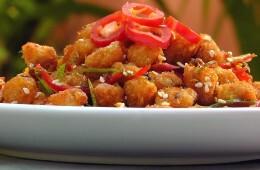 They are made with fried Soy Chunks and Red Curry Paste and are perfect for people who like it spicy. 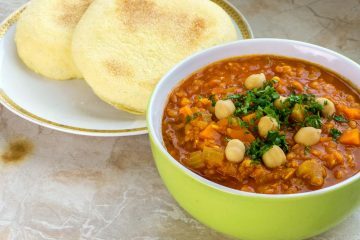 The snack is made quickly and full of protein. 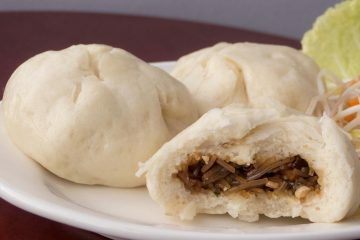 They can be eaten with some rice or pure.